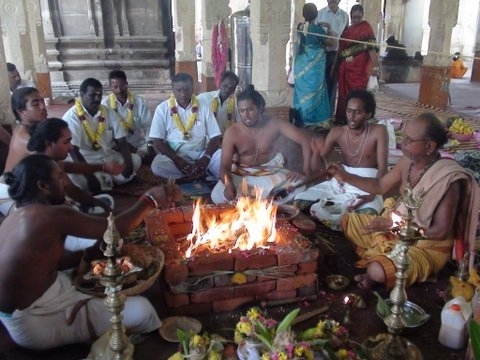 Pujas in Thirunarayur and Thirunellar temple in Kumbakonam last two years. 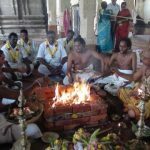 Puttaparthi Agastya Astrologer Sai Bharathi gives frequent notice of conducting homams, puja, prayers and archanam for loka-sevanam, the welfare of the world. 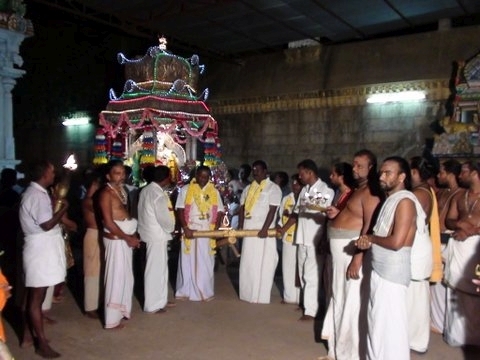 Rahotsavam is taking the deity in procession, surrounded by prayer, chanting and sacred mantras. 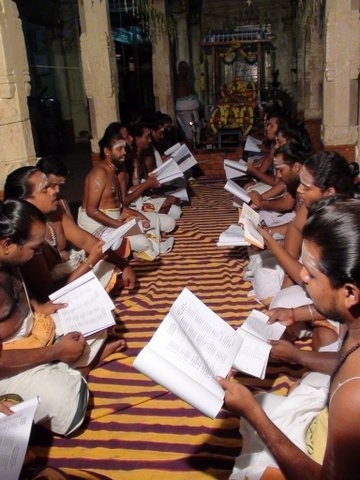 It is a special form of devotional activity which both celebrates the presence of the deity and allows many to participate. Here, Sai Bharati leads the rahotsavam chariot. 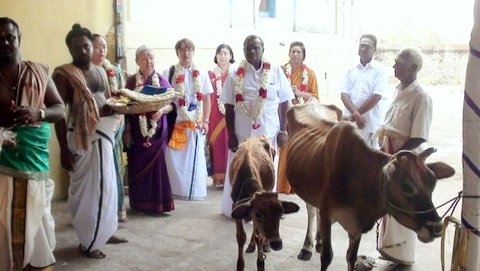 Commencement of sacred ceremonies can require a cow and calf to be present to be fed and/or to receive sacred offerings.